Fu Yuanhui is clearly having the time of her life at the Rio Olympics. 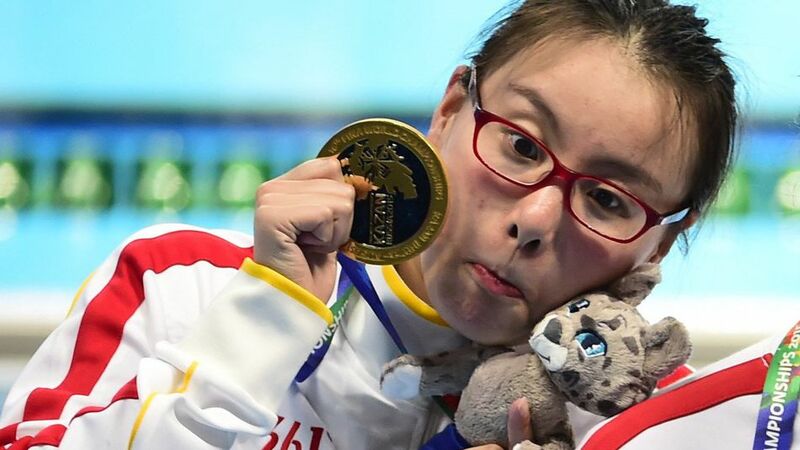 During Sunday's semi-finals of the women's 100m backstroke, the 20-year-old Chinese swimmer found out during a poolside interview that she made it to the finals and clocked a personal best. With unmasked delight, she says to the reporter: "I was so fast! I'm very satisfied!" Later she talks a little about how much work she's put in to make it to the Olympics: "There were times when I felt like it was better to be dead than to live." Then on Monday night, after swimming in the finals, she got news of her bronze medal win from the same reporter. Fu had thought she didn't win anything, saying: "Even though I did not win a medal..." but is interrupted by the interviewer who informs her she got the bronze. She's stunned for a few moments, before recovering. "That's not bad at all!" she says, cheerily. Her wide-eyed reaction has started going viral both in China and abroad, where Fu has won a new legion of fans. I'm in love with Fu Yuanhi...The nerdtastic swimmer from China.